With roughly 1.5 million apps available in the major app stores, app developers are facing tough competition. Overwhelmed with choices, users abandon more than half the apps they download. In fact, an average user has 36 apps installed but uses only 26% of these apps daily. Thus, app developers have two challenges: one, to ensure that the app gets installed, and two, to build a habit that makes users keep coming back. 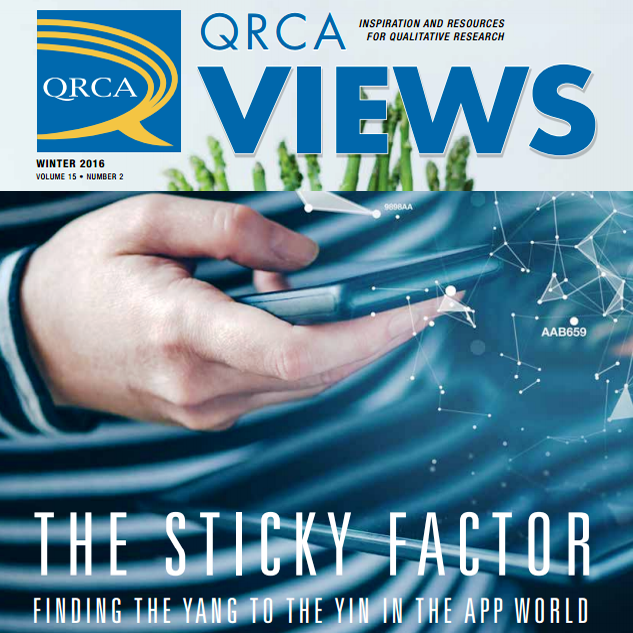 In this article, we offer a method called the “The Sticky Factor” to help researchers and their clients pinpoint what is working with the app they have launched, what is not and how to solve these problems. You can read the whole article here (just jump to page number 52).